The futuristic screens installed in the Chinese capital usually advertise tourist destinations, but as the season’s first wave of extremely dangerous smog hit – residents donned air masks and left their homes to watch the only place where the sun would hail over the horizon that morning. 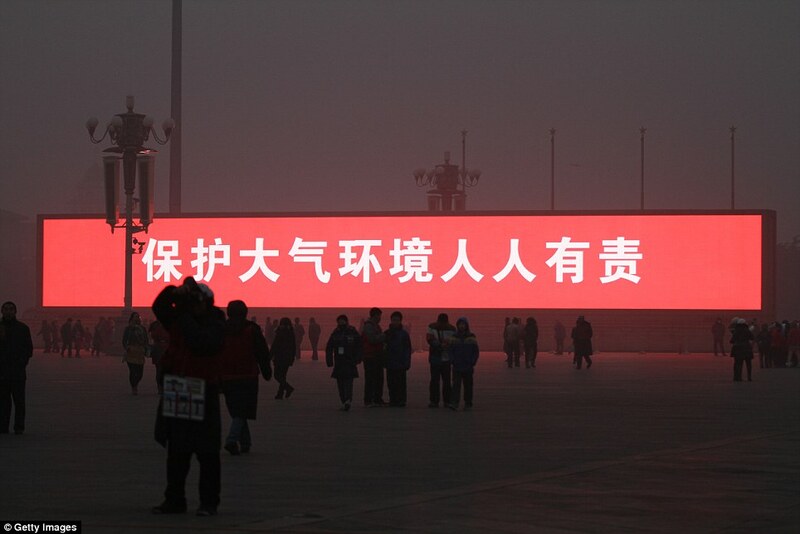 Public announcement: The LED screen shows the slogan ‘protecting atmospheric environment is everyone’s responsibility’ on the Tiananmen Square which is shrouded with heavy smog on January 16, 2014 in Beijing, China. 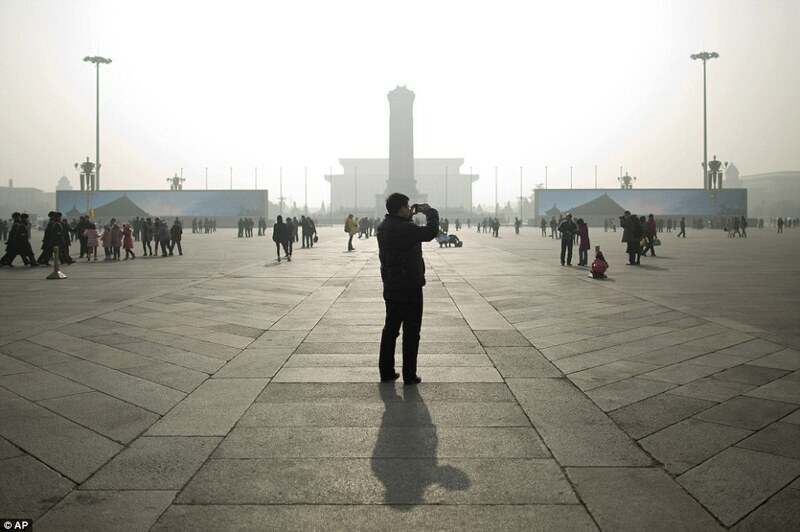 A tourist takes photos during a heavily polluted day on Tiananmen Square in Beijing, China, Thursday, Jan. 16, 2014. Beijing’s skyscrapers receded into a dense gray smog Thursday as the capital saw the season’s first wave of extremely dangerous pollution. 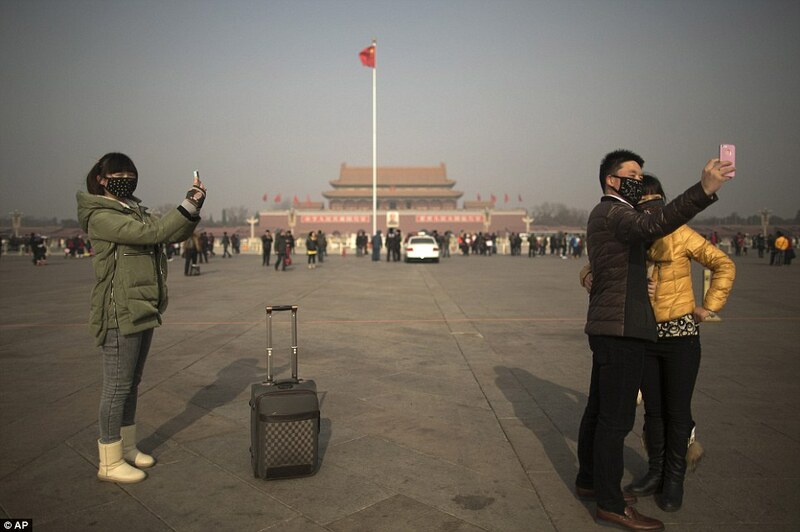 Tourists in masks use mobile phone cameras to snap shots of themselves during a heavily polluted day on Tiananmen Square in Beijing, China.